Albany, NY - Governor Andrew M. Cuomo today announced that New Yorkers can report vacant and abandoned properties in their communities through a hotline at the New York State Department of Financial Services. 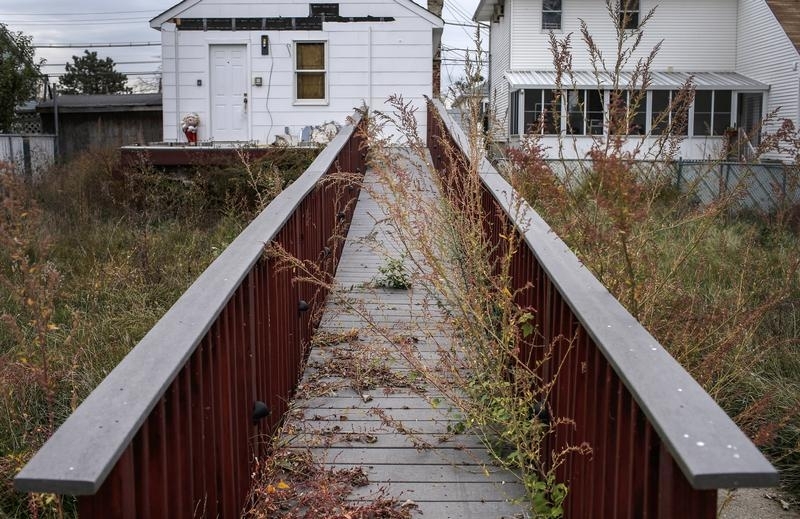 As part of groundbreaking legislation signed by Governor Cuomo last week to prevent foreclosures and curb the threat posed to communities by “zombie properties” across the state, DFS will maintain an electronic registry of vacant and abandoned properties. New Yorkers are encouraged to call for information about unoccupied and ill-maintained properties in their neighborhoods. If a property is not already in the statewide registry, DFS will identify the mortgage servicer to facilitate appropriate remedial actions as outlined in the legislation. The new registry and hotline are part of several provisions that will help to prevent people from losing their homes and address the scope of unoccupied and ill-maintained properties, which based on voluntary reporting, is estimated to be over 6,000. Under the new law, reporting is now mandatory, and the number of abandoned homes is anticipated to be even higher. New Yorkers can contact the Department of Financial Services (DFS) at (800) 342-3736 or online at www.dfs.ny.gov. The “zombie properties” legislation also includes measures to assist homeowners facing mortgage foreclosure, improve the efficiency and integrity of the mandatory settlement conferences, and establishes a pre-foreclosure duty to maintain on mortgagees, create an expedited foreclosure process for vacant and abandoned properties, create an electronic vacant property registry, and establish a Consumer Bill of Rights. Additionally, the FY 2017 Budget invests nearly $20 billion for comprehensive statewide housing and homelessness action plans. Over the next five years, the $10 billion housing initiative will create and preserve 100,000 affordable housing units across the State, and the $10 billion homelessness action plan will create 6,000 new supportive housing beds, 1,000 emergency beds, and a variety of expanded homelessness services. As part of the Governor’s ongoing efforts to assist future homebuyers and existing homeowners, this investment includes more than $100 million in available funds to help new homebuyers purchase and renovate “Zombie” properties and support existing low- and middle-income homeowners with major repairs and renovations. Funding is available through the New York State Homes and Community Renewal to establish the new Neighborhood Revitalization Program and provide grants for not-for-profit organizations and municipalities throughout the state to rehabilitate, repair and improve homes. I have an idea. Slash property taxes and spending so homeowners aren't forced to abandon their houses because they can no longer afford taxes. Most of us have foundations and non profits and pay no taxes. who is "most of us"? You mean like the chassidishe homeowners who start a minyan in their homes and then go for non-profit and synagogue exemptions?